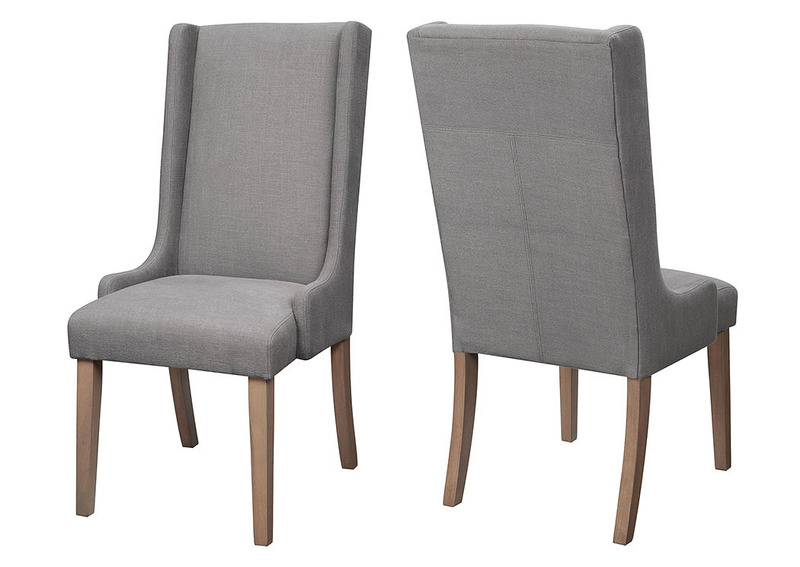 Pull this elegant dining chair up to your dining table to enjoy a formal dinner with family. 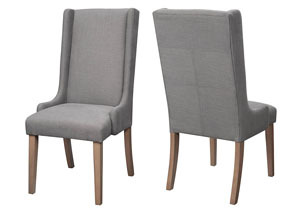 This dining chair is upholstered in a neutral, grey fabric. Perfect for matching almost any existing décor! The small wing of the arm adds the perfect finishing touch to the elegant design.